Concerns are high that violence, hate speech and character assassination may define the November 18 governorship election in Anambra state. Some individuals and groups have cried out against the silent departure by gladiators from issue-based politics that usually characterise governorship elections in the state. 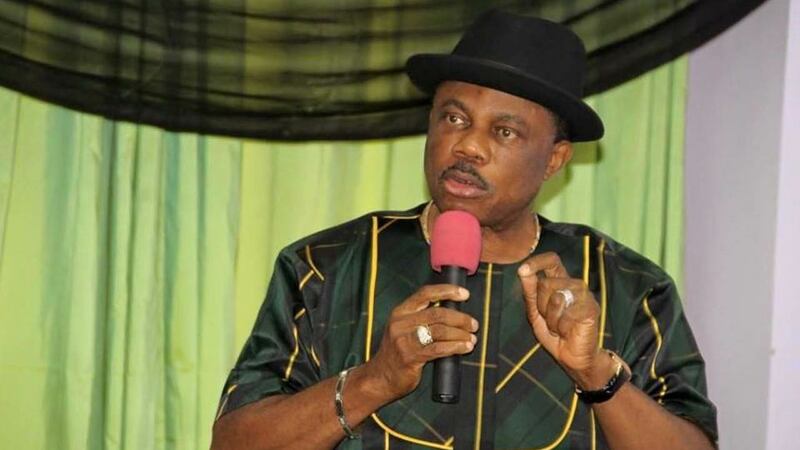 Recently, the state chairman of Peoples Democratic Party (PDP), Prince Ken Emeakayi, sent a petition to Governor Willie Obiano, narrating how the governor and his aides descended on him shortly after he observed some constitutional breaches by the governor. 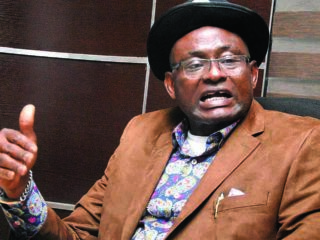 In the petition dated March 6, 2017, Emeakayi wondered why the threat to his live should be made on account of his observations, stressing that apart from being the state chairman of PDP, he was entitle to his opinion on the workings of the government as a citizen. Also, the state chapter of the United Progressives Party (UPP) condemned the politics of insults, name-calling and character assassination that currently reigns in the state. It declared that what the state needs now was peace-building and ideology-based politics. The party however commended its national working committee (NWC) for the reconstitution of the state working committee (SWC) of the party. According to the party, UPP has come to groom leaders and empower the people with proper political education and social orientation to make the state occupy its position as the leading state in South East and Nigeria in general. In a statement signed by the State publicity secretary, Uche Amaku, the party noted that the reconstitution of the 28-member SWC led by Dr. Sylvester Igwilo and Fidelis Okafor as chairman and secretary, respectively; has paved the way for UPP to terminate the politics of inducement, impunity and exclusion in the state. Amaku commended the national leadership of UPP, especially Chief (Dr.) Chekwas Okorie, for heeding the call by various tendencies that joined the party for an all-inclusive state working committee. “Having undertaken this seamless reunification of the State Working Committee, with due respect to Article 21 section 2(C) of the UPP constitution, the NWC has placed the ball on the court of Anambra UPP to champion the cause of a new political order in the state,” the statement added. “It is because the governor has shown lack of focus and understanding of the basic ingredients that make Anambra State great that the state has continued to manifest despondency and political delinquency, whereby young men who have been denied participation through local government system have taken to online platforms and social networks to pour insults on their elders. “This is not what we bargained for; Anambra should be first again by building its young people and providing purposeful leadership to the people. We say no to politics of name calling and commend great Anambra people like Ifeanyichukwu Okonkwo, who has been setting healthy agenda for a new political culture in the state,” he explained. Amaku hinted that the party secretariat would soon engage all relevant stakeholders to ensure transparency and inclusiveness in governance, noting that money politics have tended to limit the participation of the masses in the affairs of their state. The publicity secretary said it was disappointing that none of the big-name politicians that defected from one party to another could take up the challenge thrown up by Okonkwo, to explain to the people their reason for choosing a particular party. He therefore disclosed that the UPP would use the opportunity of the November 18 governorship election to hold politicians accountable for their actions; especially those aspiring for public office, to enable them explain reasons for their political decisions. “Politicians who throw money at the people to cover their ignorance or avoid critical evaluation of their capacity and competence would have a very tough time in the unfolding political reorientation of Anambra State. UPP will ensure that the old tricks of exclusion and intimidation are passed away from Anambra State,” he stated. Meanwhile, following the resolve by the younger generation to take up their role as key stakeholders in the politics of Anambra, some youths have called on Mr. Johnbosco Onunkwo to run as their standard bearer in the governorship election holding later in the year. Representatives of over 20 youth groups under the umbrella of ‘The Anambra New Generation Vanguard’, made the call in Awka and urged Onunkwo, an engineer, to rise up to defend the mandate of the youth. In a communiqué signed by representatives of the youth groups and read by the convener, Engr. Obiora Ezeudu, the youths said they are willing to support this cause morally, spiritually, financially and other wise, and promised to engage their fathers for their blessings. “After an in-depth analysis of the role of the youths since the inception of Anambra state as regards to governance and political leadership, coupled with the fact that the youths were before now seen as worthy tools in the hands of politicians to rig themselves into power, the youths have resolved that this is the time to be seen as responsible stakeholders in governance. “We have decided that our tomorrow is now, and that Anambra will, come November, produce a young focused and credible youth governor to take over leadership in the state”, they said in the communiqué. Earlier in his remarks, the executive director, Grassroots Mobilization for Development (GMDA), Mr. Onunkwo Ebere Tony, disclosed that the Johnbosco Onunkwo Foundation has empowered many youths, stressing that the foundation is determined to resolve the challenges confronting youths in the state.